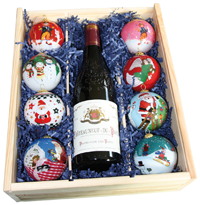 We offer glass balls with a minimum diameter of 7,5 cm, which have been painted on the inside. 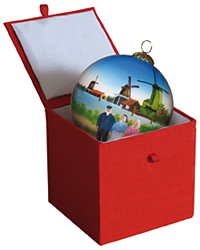 Each ornament comes in a deluxe padded gift box. The padded box protects the ball, ensuing convenient handling during travel as well as sending by mail. 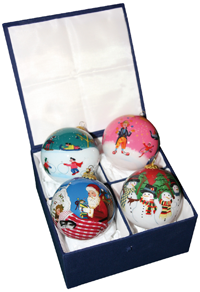 Together with the artists MY COLLECT-A-BALL annually designs and creates a new collection. A wide variety of themes are available; Art, Christmas, Baby's first Christmas, Souvenir, Sports and Nature. MY COLLECT-A-BALL has successfully entered the European market and has attracted collectors from all over the world. 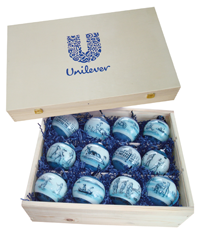 As well as the glass balls making an exquisite decoration for in your Christmas tree, or providing the globe trotter a memorable souvenir, MY COLLECT-A-BALL has found its way into the Museum and Corporate sector.